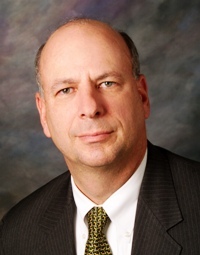 Dr. Gerald L. Gordon is the President and Chief Executive Officer of the Economic Development Authority in Fairfax County, Virginia, one of the largest office space markets in the United States. He has been with the FCEDA since late 1983. In that time, office space in the county grew from 32 million square feet to more than 115 million square feet and jobs in the county grew from 243,000 to more than 600,000. As a result, the real estate tax rate has decreased from $1.47 to $1.09. Dr. Gordon has taught at the Catholic University of America, the University of Maryland, George Mason University, and Virginia Commonwealth University. He has consulted with numerous city and state governments throughout the United States and around the world, as well as the governments of the Republic of Poland, the island of Vieques in Puerto Rico, and the Federated States of Micronesia. He has also served as a consultant to various government agencies, the United States Navy, businesses, non-profit organizations, associations, colleges and universities, and the United Nations. Dr. Gordon holds a Bachelor’s Degree from The Citadel, a Master’s Degree from George Washington University, and a Doctorate in International Economics from the Catholic University of America. He is the author of eleven books and numerous articles on strategic planning, economic development, leadership styles, and other management topics. Dr. Gordon is the 2003 recipient of the prestigious Israel Freedom Award of the Israel Bonds organization. In 2006, Dr. Gordon became the first American to address the All-Parliamentary Exports Group in the British House of Commons. In 2007, Dr. Gordon was accepted for inclusion on the roster of Fulbright Senior Scholars. In 2007, Dr. Gordon was named a Fellow of the International Economic Development Council, and in 2010, he received the James Rees Award from the Fairfax County Chamber of Commerce. In 2010, Dr. Gordon was named the “Virginia Business Person of the Year” by Virginia Business magazine.